The Winklevoss twins, popularly known as the ‘winklvi’ now recently appeared in a podcast on the Bloomberg channel, where they talked about their journey in the last five years engaging primarily with Bitcoin and the Gemini Trust. The historic moment which struck people hard about the centralization of money and the economic system was the ‘Cyrus Financial Crisis.’ Five years ago the ‘winklvi’ purchased their first Bitcoin (BTC) through the Mt. Gox Exchange itself. “A lot poeple got burned” due to enethical practices and schemes around Bitcoin. ‘Winklvi’ found the Gemini Trust to increase the feasibility of investment in Bitcoin. They will be launching three new assets and has an employee strength of 200. They offer a Blended price index for Bitcoin and Ethereum with the Winklevoss Blended BTC Index (WBBI) and Winklevoss Blended Ether Index (WBEI). While Bitcoin provides an easy solution for moving large amounts of value seamlessly, that value must be inserted in the system and even ejected from the system when needed. Winklevoss twins answered. They even aspire to make Gemini one of the most popular exchanges for the general crowd as well. The Gemini dollar currently in the market can be “traded as a proxy for dollar” throughout the world. Moreover, they also noted that instead of looking of the 52-week high we must look at the laws and we would find that each low was higher than the previous one suggesting an upward trajectory despite the rollercoaster movement in price. Do back the claims of ‘Winklvi’ Brothers? Please share your views with us. 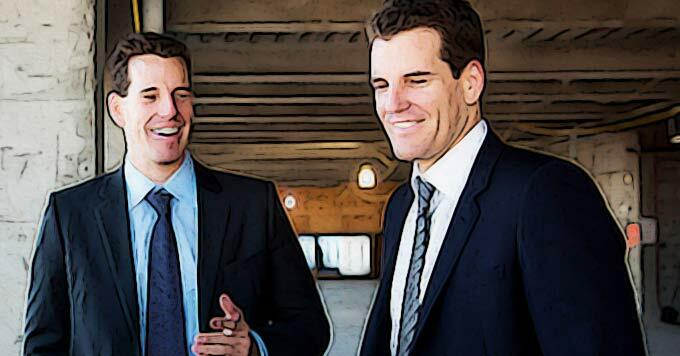 The Winklevoss twins, popularly known as the 'winklvi' now recently appeared in a podcast on the Bloomberg channel, where they talked about their journey in the last five years engaging primarily with Bitcoin and the Gemini Trust.